Adam A. Langman is a 26 years old English PADI Dive Instructor at Dressel Divers dive center in Puerto Aventuras (Mexico). After doing his Divemaster internship with us, he decided to become a Dressel Divers Dive Instructor, and make the ocean his office. 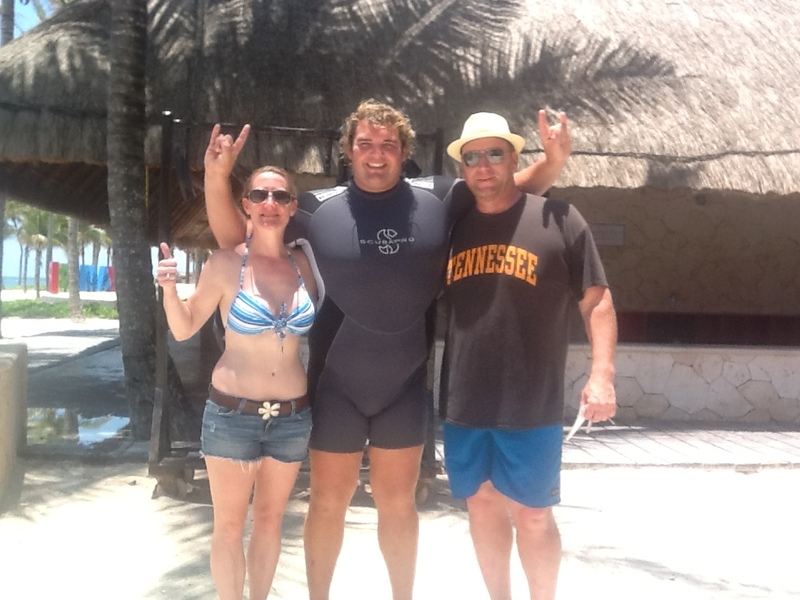 Nowadays, he is not only the funniest Dive Instructor in Mexico, but also an outstanding professional. 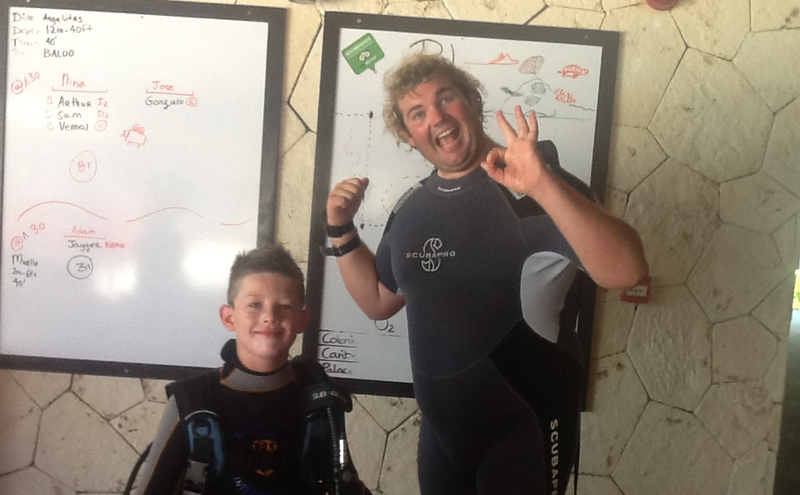 If you are a dive newcomer, Adam is the perfect man to teach you about the ins & outs of diving. If you are an expert diver, he will always be ready to show you new spots, where you haven’t dove before. And the most important thing, he will always do his job – his passion- with a smile on his face. Today we have gone to Puerto Aventuras to have a little chat with him. I have been diving for 5 years, learning is England is very cold.. Mexico is slightly warmer water! I think the best dive I have done was in Cozumel at a dive site called Punta Sur. As it was my first dive ever over there and I saw loads of fish, sharks and rays plus the coral formations are incredible! That said the bull shark dives are a close second! 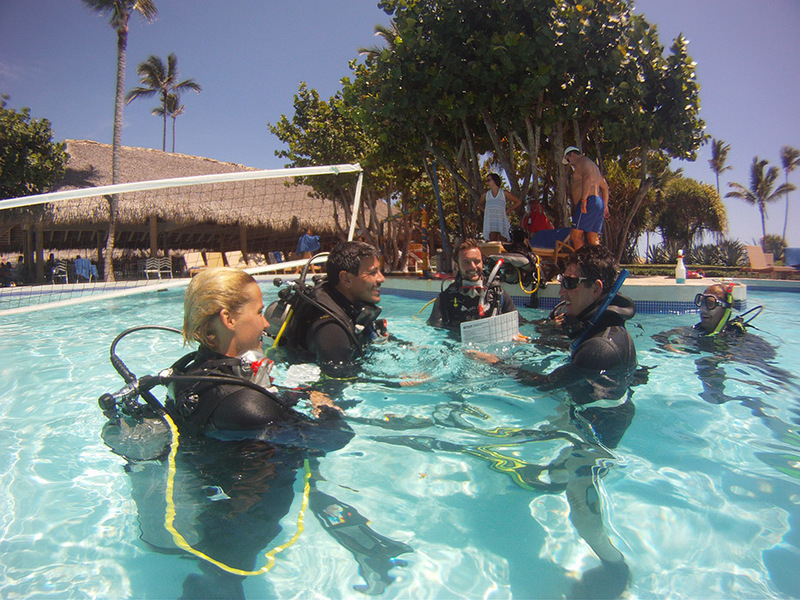 At what point did you realized you wanted to be a PADI Dive Instructor in Mexico? It finally clicked and I realized I wanted to be an instructor half way through my Divemaster Internship, after seeing how the instructors influenced the lives of their students made me want to become one of those people. What qualities do you think a PADI Dive Instructor needs to be successful? I think instructors need to be patient, willing to help people and above all they have to be friendly. Why did you chose to work with this company in particular? When I first came, I arrived to do my Divemaster Internship then finished that stayed on to become an Instructor. After the IDC I stayed on because where else can I call the Ocean my office!! If I get the chance I would love to go work in Cozumel, diving in the marine park is a great way to spend a day! 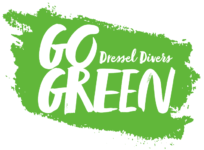 I would recommend Dressel Divers to other instructors, as the wide variety of people and different courses you get to do is amazing. Some of the best memories I have with my students is not all the time seeing all the amazing wildlife but actually seeing the students improve every dive. I remember a couple. The wife was really nervous at the beginning but as the dive and the course progressed her confidence increased. It was an absolute pleasure to watch her develop. Yes, I try to get my students to find me on Facebook and if they have any questions they can always ask me. What are your other hobbies? What do you do on you day off in Playa Del Carmen? Well, outside of diving, I love the ocean still so going swimming, snorkeling or just hanging out on the beach. But even on my day off I enjoy diving seeing new spots or going places that I don’t often get to see. What is your best trip advisor review? I think the best Trip Advisor review I had was from someone I met at the pool and then did the PADI discover SCUBA DIVING course with them. If anyone is visiting this area go visit Coba and climb the mayan pyramid, its the only one you can still climb and there are some cenotes near that you can do some big jumps into them (10m)!! !